Nobody likes losing their phone. Luckily, through the almighty power of Alexa and Amazon Echo, you never have to worry about this inconvenience again. 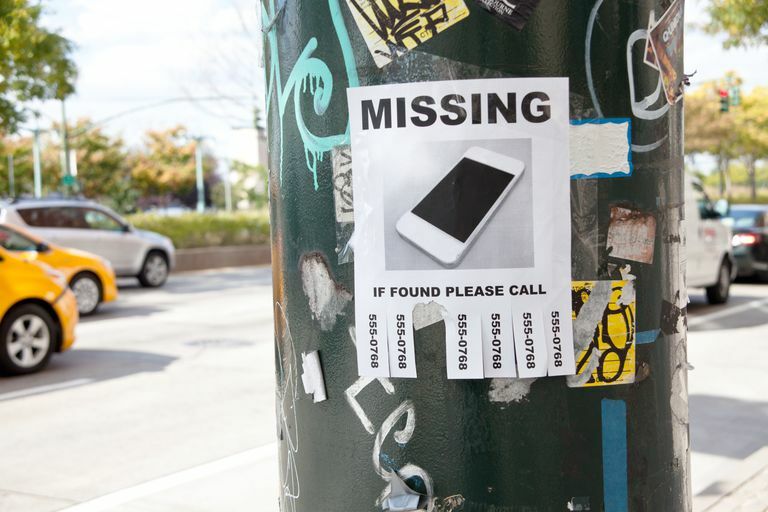 There are several different apps and IFTTT setups you can use to help you locate your phone when the darn thing goes missing. Here are a few of our favorites and how to get them set up. There are numerous ways you can have Alexa locate your phone, but these are some of the simplest and most effective ways. Alexa consistently adds new skills, so keep an eye out for anything else that might come in handy for finding missing devices. Enable Trackr on your Alexa device. You can either do this through your connected mobile device (the phone or tablet you've linked to your device) or say "Alexa, ask Trackr to find my phone." Download the Trackr app on the device you want to be able to locate. You can find it in the Apple App Store or Google Play Store. Launch the app on your mobile device, then select Add A New Device. Tap Alexa Integration, then follow the onscreen prompts to connect the mobile device to your Echo device. There will be a few more steps to follow where you will need to link a PIN from your Alexa-enabled device to your mobile device. Follow the onscreen instructions to finish linking your accounts together. You will now have two new commands enabled. If you say "Alexa, ask TrackR to find my phone," your Alexa device will tell you the address of your phone's last known location. If you say "Alexa, ask TrackR to ring my phone," it will do exactly that. Cell Phone Finder can be a bit harder to set up, but not every phone is compatible with TrackR. Most reviews suggest that if one of these two doesn't work with your device, the other will. Here's how to set up Cell Phone Finder﻿. Download the Cell Phone Finder app onto your Alexa-enabled device. You can download it manually through the app store or say "Alexa, enable Cell Phone Finder." Link your phone to the skill by calling the number (415) 212-4525 from the phone you want registered with the app. Once you've called the number, say "Alexa, ask Cell Phone Finder what my PIN code is." Input the PIN into your phone and the two devices should now be connected. To use the skill, say "Alexa, start Cell Phone Finder and call me." Your linked device should start ringing. You can only have one mobile device connected through this skill. If you want to connect a different mobile device, you'll need to uninstall the skill and have Alexa relearn it by going through the registration process again. This one is a bit more complex, but it will also teach you how to use a system that helps you connect all sorts of your devices. It will involve using the website IFTTT ("If This Then This"). Go to ifttt.com and either sign up for a free account or login to an existing account. Create the channels you need. Select the Channels icon at the top of the screen, select the Alexa channel, then select Connect. You'll need to login to your Alexa account to confirm the connection. Next, create your Phone channel. Select Channels again, then search for "Phone Call." Again, select Connect, then enter your phone number and select Send PIN. Answer your phone and confirm the PIN number. Once you have added your two devices to the site, you can create the phone call connection between the two. From the IFTTT website, select your username in the top right corner, then select Create from the menu. Select This to start creating the connection, then search for "Amazon Alexa" under the Choose Trigger Channel. Select Say a Specific Phrase as the trigger, then type in something easy to remember like "Find my phone" or "I lost my phone." Select That to set up the next part, then select the Phone Call channel and select Call My Phone as the action. Select Create Action to finalize your connection, then select Create Recipe to lock everything into place. If you have an Android phone, you can even create a different recipe where you have IfTTT turn the volume all the way up on your phone before calling it! You're all set - if you followed all the steps, you should be able to say "Alexa" followed by the specific phrase you typed in in the first step, and your phone will start ringing.